Are you looking for a Round Jigsaw Puzzle Spinner? 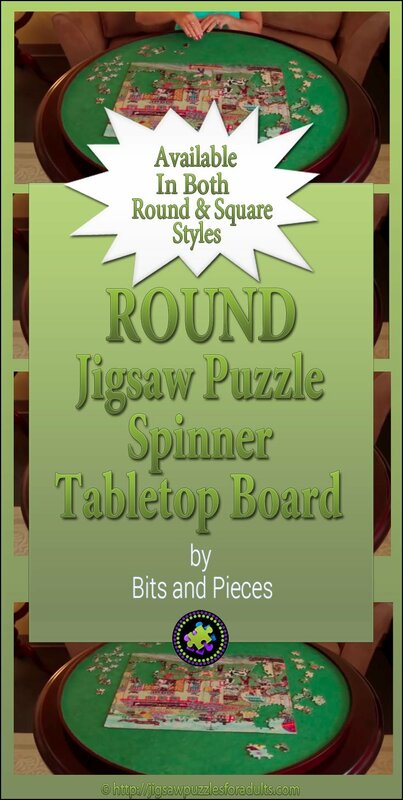 If you work on a lot of jigsaw puzzles you’ll love this spinner board. In A Hurry!=>Check out this Round Jigsaw Spinner at a great price! 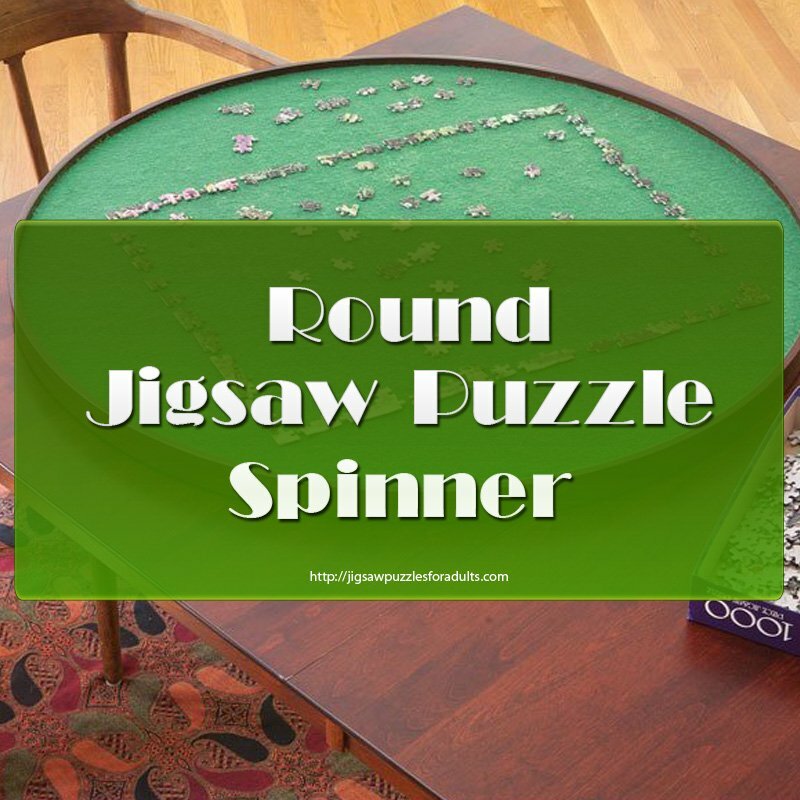 On this page I’ll be giving you a full description of the Round Puzzle Spinner Table that I think is an awesome idea for anyone who works on a lot of puzzles and doesn’t like getting up and moving around the table to fit the next puzzle piece. 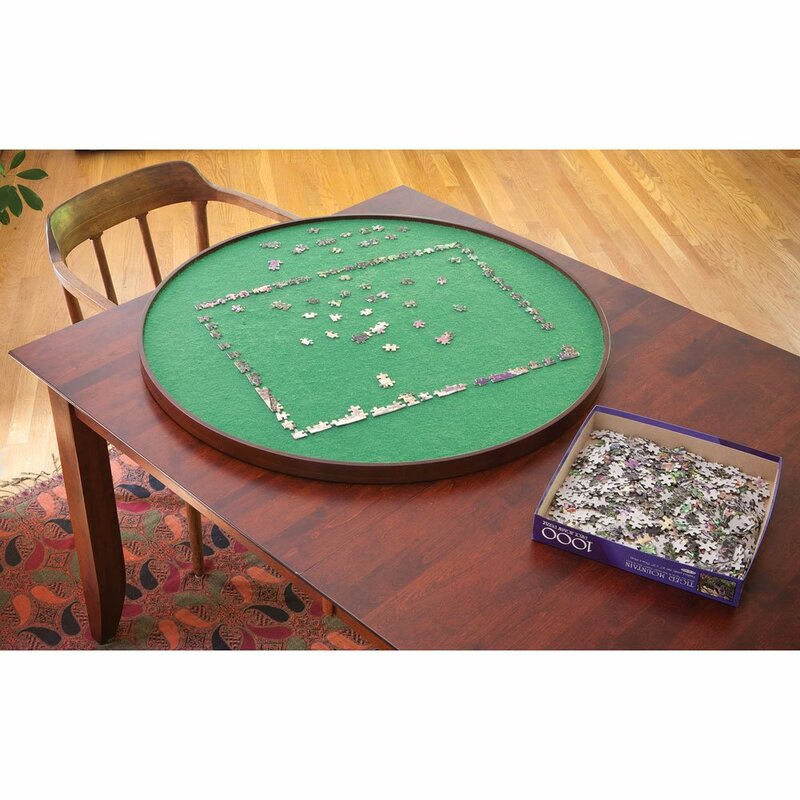 This Round Jigsaw Puzzle Spinner Board has an innovative assembly which lets you spin the jigsaw puzzle to reach the part of the puzzle you need to work on. This innovation is much like a Lazy Susan except for it’s specially made for jigsaw puzzles. It measures inches by inches and will hold puzzles up to the 20 inches by 27 inches. This usually accommodates puzzles that 1000 pieces or less. The inside measurements of the round spinner is 33 inches across. This Round Jigsaw Puzzle Spinner is made of durable composite wood and solid hardwood. NOTE: The largest square jigsaw puzzle that will work in this spinner is 24 inches by 24 inches. The largest rectangle jigsaw puzzle is 20 inches by 27 inches. 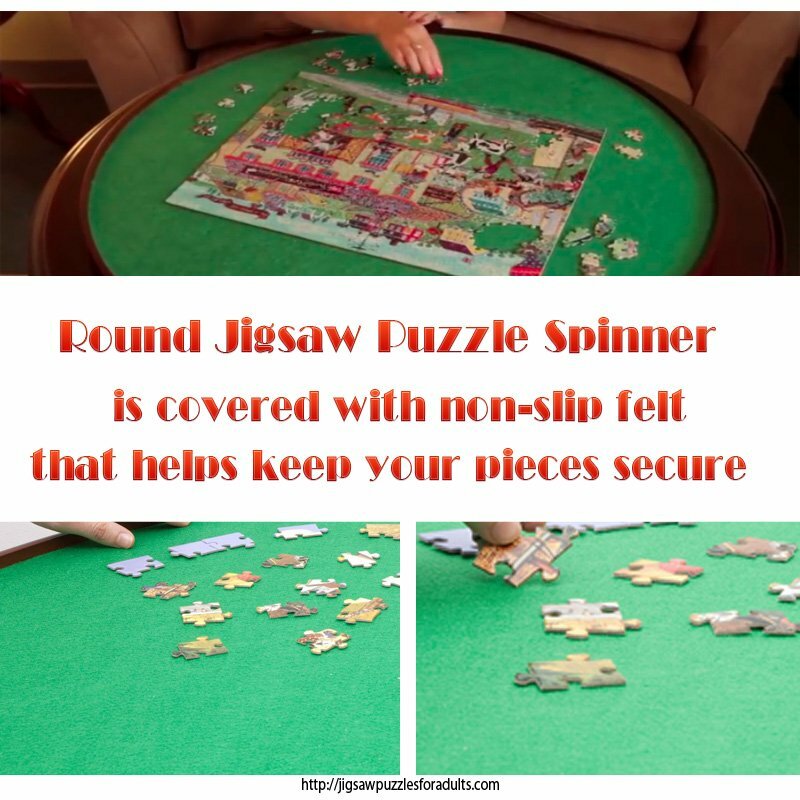 The felt surface of this puzzle spinner helps to hold the jigsaw puzzle pieces together and the wood sides that come up a wee bit are great way to keep you from dropping pieces of your jigsaw puzzle off your table onto the floor. 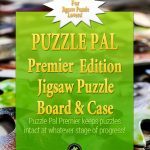 Really, this is a must have for any serious jigsaw puzzle enthusiast! 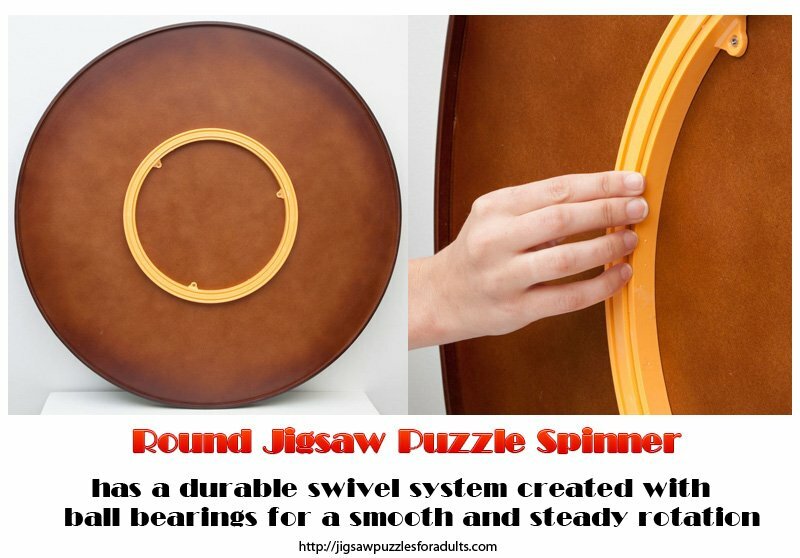 This round jigsaw puzzle spinner has a durable swivel system much like a Lazy Susan as you can see from the picture above. It’s created with ball bearings for a smooth rotation. 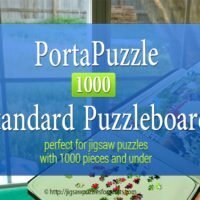 If you love working on jigsaw puzzles but you don’t like the fact that you need to get up and walk around the table to get to the other side of the puzzle. 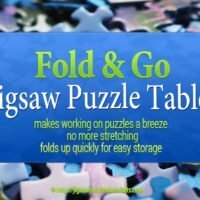 Now you don’t have to stretch to reach the far corners to place jigsaw puzzle pieces, you just need to spin the table to reach the section you need. 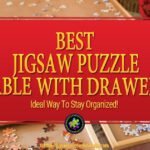 The jigsaw spinner makes it easy to move the puzzle from one place to the other. This video below gives you a much closer look at how the Jigsaw spinner works. All in all, we really like this round jigsaw puzzle spinner, granted you could probably make your own puzzle spinner using a lazy susan apparatus that you find at a second hand store or you could buy the components at your local lumber store (by doing this you could make the spinner larger so that you could accommodate larger sized puzzles). If the size is a problem and you want to do a larger puzzle you could always find a little larger piece of cardboard or foam board and cover it with felt so you could still use the the same spinner. However, if you don’t have a handyman around or you aren’t able to build anything like this spinner this is really a great concept and worth buying. 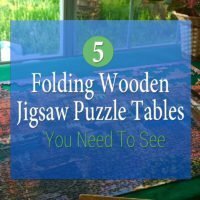 This would make the ideal gift for anyone who finds it difficult to move around the puzzle table or to stretch across the table. We have given these away as gifts and have received countless thumbs up. 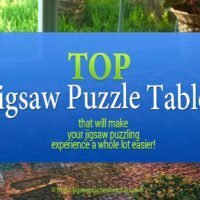 If you’d like to see some other Jigsaw Puzzle Tables be sure to check out this page.